oung tenor Ian McEuen has been praised for his versatility as a performer, impressing audiences with his “sweet lyric tone” and “gravitas on the stage,“ as well as his ability to evoke laughter “just for walking across the stage.” Mr. McEuen began the 2016-17 season with his role and company debuts as Oliver Sacks in the UrbanArias production of The Man who Mistook his Wife for a Hat. In a turn of events rare in the opera world, he immediately reprised the role in a new production with Quantum Theatre. Most recently, he made his role and house debuts as Tobias Ragg in Sweeney Todd with New Orleans Opera. Next, Mr. McEuen will appear as Pang for his company and role debuts in Virginia Opera’s Turandot. He will finish the season with his Kennedy Center Opera House debut as Goro in Jun Kaneko’s production of Madame Butterfly at Washington National Opera. After making his professional operatic debut in Fort Worth Opera’s production of Mark Adamo’s Lysistrata in 2012, Mr. McEuen joined the company as a Studio Artist for two seasons. During his time with the company, Mr. McEuen sang Der Tanzmeister in Ariadne auf Naxos, Padre Antonio in the professional premiere of With Blood, with Ink, and Figaro in the world premiere of Figaro and the Zombie Apocalypse. He also performed various roles in the company’s groundbreaking Frontiers programs. In November 2013, he created the roles of the Hippo and Holy Man in the world premiere of Jeanine Tesori and J.D. McClatchy’s The Lion, the Unicorn and Me for his debut at Washington National Opera. The following summer, he returned for his second season as a Young Artist at the Glimmerglass Festival, where sang Goro in Francesca Zambello’s production of Madame Butterfly. In the 2014-2015 season, Mr. McEuen joined the roster of the Metropolitan Opera, covering St. Brioche in a new production of The Merry Widow directed by Susan Stroman. He continued 2015 singing Monostatos in Die Zauberflöte for his debut with Arizona Opera. Also an avid recitalist and lover of 20th and 21st century music, Mr. McEuen spent the summer of 2012 as a Marc and Eva Stern Fellow at SongFest in Los Angeles. There, he had the opportunity to work personally with Graham Johnson, William Bolcom, Jake Heggie, Martin Katz, Libby Larsen, and John Musto. He also has appeared with Fort Worth’s Hall Ensemble in their period-themed chamber music series, Music in the Mansion. As a concert artist, Mr. McEuen made his Chicago Symphony Center debut as the tenor soloist in Carmina Burana, a role in which he has become a specialist. 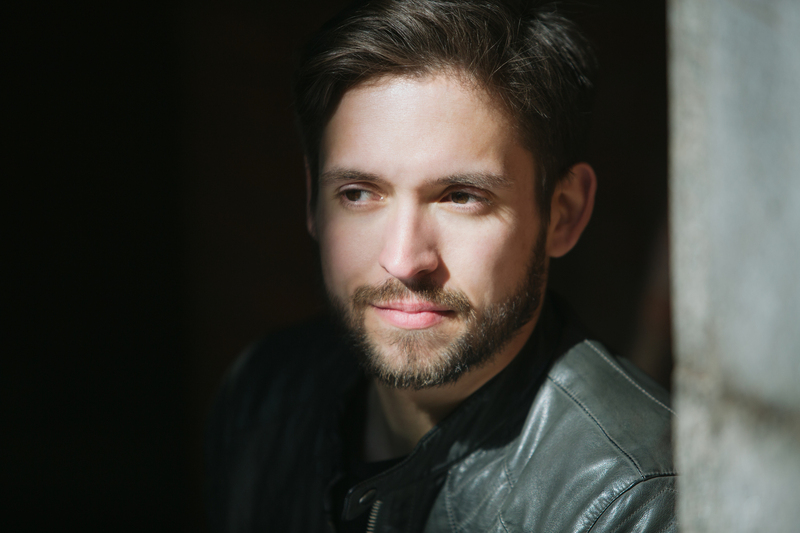 He made his Carnegie Hall debut as the tenor soloist in Mozart’s Vesperae Solennes de Confessore in April 2015. Mr. McEuen received a Bachelor of Fine Arts in Voice from the Carnegie Mellon University School of Music, where he played Amor in L’incoronazione di Poppea, Sam in Street Scene, the Chevalier in Dialogues of the Carmelites, and was a soloist in Handel’s Messiah and Haydn’s Creation. Mr. McEuen received a Masters in Voice from the University of Cincinnati College Conservatory of Music, where he performed the roles of Don Ottavio in Don Giovanni, the Evangelist in a staged production of the St. Matthew Passion, and Romboïdal in L’île de Tulipatan. Mr. McEuen continued his operatic training during the summer in 2011 at the Seagle Music Colony, where he appeared as Frederic in Pirates of Penzance and Spalanzani in Les Contes d’Hoffmann. He spent the summers of 2009 and 2010 with the Aspen Opera Theatre Center, where he played the Marquis in Corigliano’s Ghosts of Versailles.